I went to the cinema to see Moonrise Kingdom not knowing what to expect. 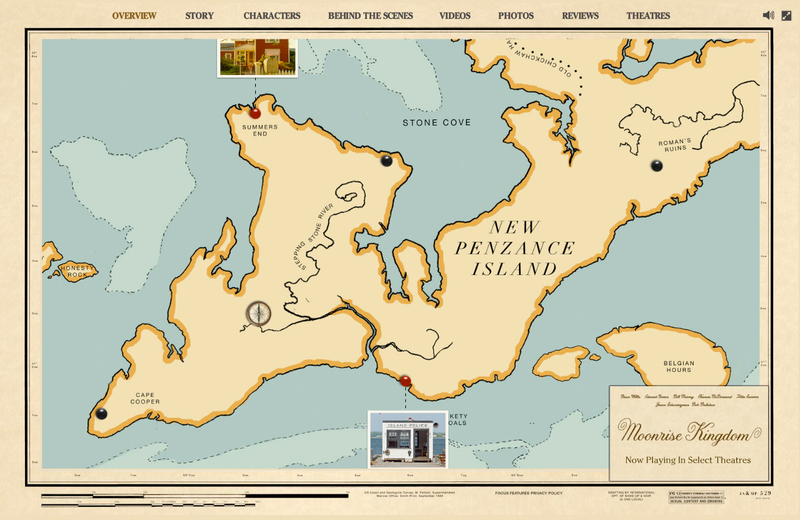 Moonrise Kingdom is set on an island off the coast of New England in the summer of 1965. It tells the story of two 12-year-olds who fall in love, make a secret pact, and run away together into the wilderness. As various authorities try to hunt them down, a violent storm is brewing off-shore – and the peaceful island community is turned upside down in every which way. Bruce Willis plays the local sheriff, Captain Sharp. Edward Norton is a Khaki Scout troop leader, Scout Master Ward. Bill Murray and Frances McDormand portray the young girl’s parents, Mr. and Mrs. Bishop. The cast also includes Tilda Swinton, Jason Schwartzman, and Bob Balaban; and introduces Jared Gilman and Kara Hayward as Sam and Suzy, the boy and girl. 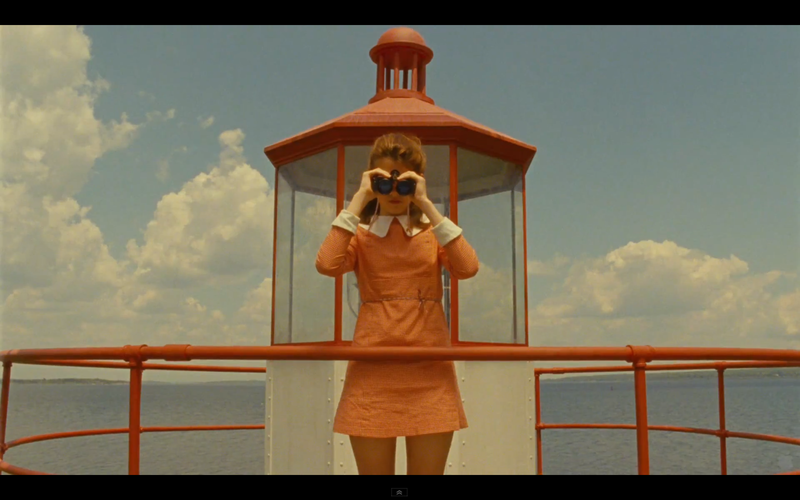 Moonrise Kingdom is surreal, but not in the fantasy way that most films are today. The use of color, light and nature is very clever – and the characters have a personal quality not often seen in commercial american movies. Wes Anderson is my favourite director, and I can’t wait to see the film. Even more so after your glowing review. I am totally new to his films, is there any in particular you will recommend? I’ll look forward to this. I loved The Royal Tenenbaums and The Darjeeling Limited. This particular film shares the most in common with two of his earlier ones, Rushmore and The Royal Tenenbaums. Have now seen The Darjeeling Limited & Rushmore, and can see that these films are part of the same vocabulary. I find it very fascinating. I’m trying to figure out a bit more about how the editor is plotting the stories, it seems to me he is avoiding hierarchical relations – letting all situations and relations take place on the same level, as if they are equally important (or unimportant). As I see it, this way of juxtapositioning creates a surreal atmosphere. Its not a complete analysis, just thoughts as I go along, watching all of these nice films. This was on my must-see list already. Now I really must see it! You must – love to hear you opinion!